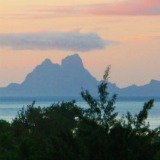 Weather in Bora Bora: Months and seasons in Bora Bora and what to expect. 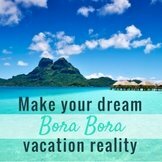 Knowing the weather in Bora Bora is the first step to planning your vacation! 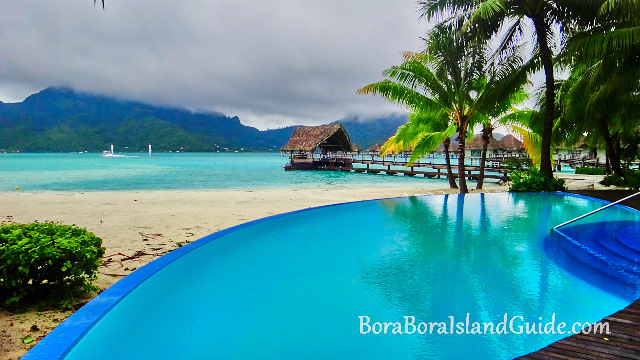 On this page we will talk about all the types of Bora Bora weather and when to expect them. If you haven't booked yet, great! 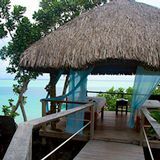 Let's look at the weather in Bora Bora and plan together when will be the best time to go to Bora Bora. If you have already booked without consulting the weather, read below about what to expect for your vacation. 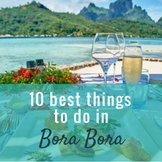 You might also want to consult what to pack for Bora Bora as this changes depending on the month you are visiting. 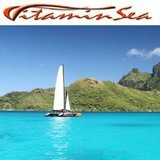 As this is a tropical destination, the weather in Bora Bora varies between a dry season and a wet season. Wet season is during the summer months and the dryer season is over winter. 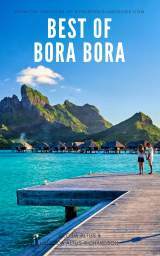 As Bora Bora is in the southern hemisphere, its seasons are the opposite to North America and Europe. Summer is over Christmas time! 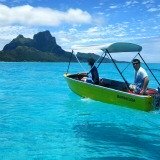 The temperature and sea temperature fluctuations are small between summer Bora Bora weather and winter in Bora Bora. So the factors that make the most difference between the seasons is the amount of rain, the wind and the humidity. This is a tropical island so there is always a chance of a shower. So come to paradise understanding that the consistent rainfall is what makes it the lush, tropical island that people all over the world dream of. This doesn't mean that you will always experience rain on your vacation, but chances are you will have a light shower or two, even if it only rains for 10 minutes, or only falls at night. 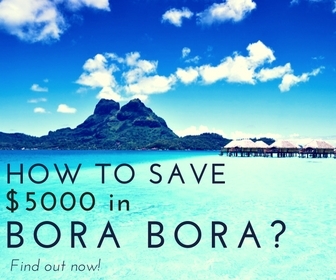 When planning what to take to Bora Bora, it is good to consider what season you are going in. As the number of days that have rain increase over November, December, January, February, March and April, you will want to pack a raincoat or waterproof jacket and comfortable shoes that are ok to get wet, like flip flops. 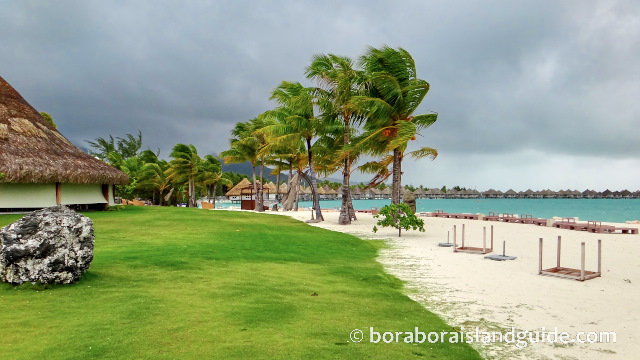 The humidity in Bora Bora increases along with the rain.. 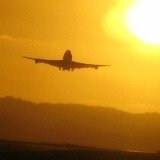 If you are someone who hates humidity, time your travel to Bora Bora over the winter months. Summer time has higher humidity, and because of the increase in rainfall has all the beautiful tropical flowers blooming at their best. I personally prefer humid head to dry heat, as I don't feel like I'm turning into a prune! The humid heat feels more like a nourishing, hydrating spa treatment to me. And humidity preserves your skin from drying out and aging! So when you feel the humidity just enjoy the fact that your skin is loving it! Winter time in Bora Bora is when the trade winds blow. This keeps everything cooler and there is less humidity. If you are coming over the winter months you will want to pack a light-weight, wind-proof jacket. This is the time of year to come for wind-sport activities like kite-surfing and wind-surfing. 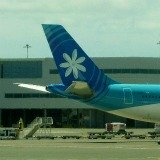 Summer time in Tahiti (especially the months of January and February) occasionally can experience a hurricane. Tahiti is out of the main hurricane belt, so it is rare, but it can happen. 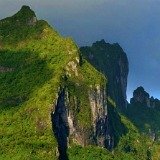 If you want to avoid the rare chance of a hurricane occuring while you are on Bora Bora, book outside of November, December, January and February. We were in November one year when a hurricane was passing through this part of the Pacific. It was windier and wetter than we have ever experienced Bora Bora. It was cold(ish) and we had not taken any warm enough clothes, considering the rain and wind. There was excitement around the lagoon as small waves were breaking. As there are not usually waves in the calm lagoon the locals were enjoying the chance to surf ! We were wondering if we may not be able to fly out at our scheduled date (and happy at the chance to delay returning to reality). But the planes could still go and we left the wettest Bora Bora vacation we had ever had. It's from different experiences such as these that we have learned what to pack in each season! 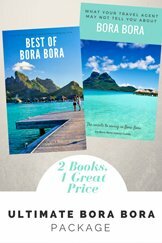 There are 3 distinct Bora Bora seasons. 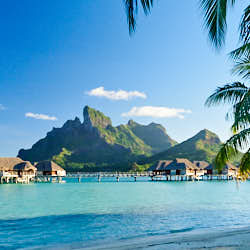 The popularity and weather in the Bora Bora seasons reflect the seasonal rates that it costs to vacation in Bora Bora. 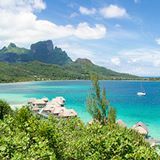 The month you choose to visit Bora Bora will determine both your weather and the cost of your vacation. 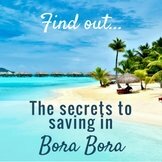 The best months in Bora Bora depends on the weather, your personal preferences, the reason for your vacation and the money you have to spend. 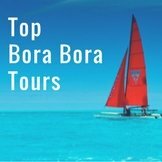 We discuss these factors on our best month to visit Bora Bora page. 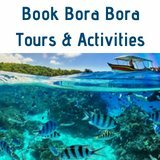 You can also read more about the best time to go to Bora Bora for activities and events. 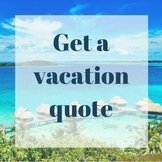 When you have decided on the best time to take your Bora Bora vacation, contact our favorite Tahiti specialist to get a quote. We love their concierge-like service offered along with rates that constantly beat all the others we see!